Bluelab instruments is a prestigious manufacturer of high quality products for ultimate precision measurements and a line of effective and efficient products. When you try something easily and accurately, you can manage it. Specifically, you can make the most of hydroponic systems, the hydroponics. Our product pH meters, pH controllers and nutrients controllers ( fertilizer or mineral fertilizer ) for hydroponics or hydroponics are with Bluelab mark the best products to measure parameters such as pH , the conductivity and the temperature of the water . Bluelab manages everything about your nutrient solution for your growing systems in hydroponics. 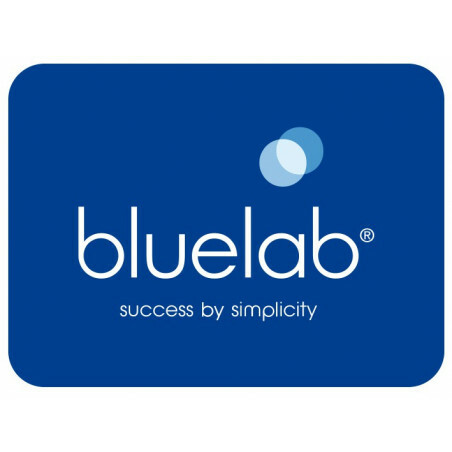 Bluelab is a young company that innovates by nature, it launched the best innovations of recent years in the field of horticultural production amateur and professional. Basically Bluelab instruments, manufactures of our rugged, reliable, accurate, design, simple and easy to use for practicing closet cultures. What is also important is that it is not just basic products like some testers of bad Chinese manufacture. Find Bluelab calibration solutions to take care of your probes, it is so fragile and laboratory products in sudden movements. Thanks to Culture Indoor and our culture guide, increase your knowledge of hydroponics, understand all the A to Z hydroponics and discover tips and tricks to improve your indoor crops. Learn the basics or refresh your knowledge of the acidity of the water (its pH , conductivity and temperature). Follow Bluelab, with Culture Indoor and get the product information of the Bluelab brand . Remember that fertilizer is a lock, the pH is the key that will open new doors to your future results v bone cultures . What is the best pH for plants ? In aquaponics with Bluelab instruments it is easy to check if you grow healthy plants, vigorous and healthy fish. Hydroponics how to lower the pH of the water ? With nitric acid , phosphoric acid , citric acid , called acid pH regulators, they allow to lower the pH level of nutrient solution. You can find several types of acid to lower the pH. Nitric acid 53% liquid solution most suited to the growth. Phosphoric acid 50% as at GHE , or 75% in Platinium Nutrients acid phosphoric 33% more concentrated than competing brands for growth and flowering. Citric acid at 50% in liquid solution or in pure powder and concentrated as 420 organics offering citric acid which is an organic acid powder to regulate the acidity of pH in your nutrient growth and flowering solutions ideal for organic cultivation Plant. Urea phosphate powder as GHE pH powder , urea but leaves toxic traces as the packaging suggests and requires precautions. More suitable for growth. Ammonium phosphate less powerful acid, less easy to use, but more environmentally friendly as the powder pH 420 hydroponics : pH perfect powder. For growth and flowering. Visit our radius Bluelab , including a full beam range and useful accessories for your crops inside.